An Airbus A320neo aircraft is pictured during a news conference to announce a partnership between Airbus and Bombardier on the C Series aircraft programme, in Colomiers near Toulouse, France, October 17, 2017. 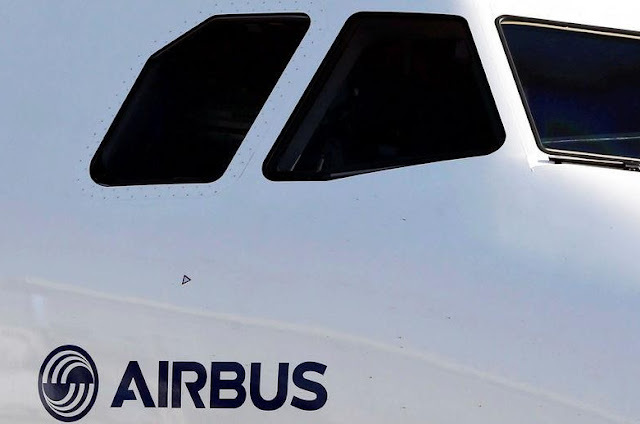 Bombardier Inc’s deal with Airbus SE solves a number of problems for the Canadian plane-and-train maker, mostly by making Boeing Co’s complaints against the company effectively moot, analysts said on Tuesday. Montreal-based Bombardier said late on Monday it would sell a majority stake in its CSeries jetliner program to Airbus as it searches for a way to avoid punitive U.S. tariffs threatened by a trade dispute with Boeing. The deal could also give Bombardier and Airbus an edge over Boeing in the market for narrow-body aircraft. “(The) Airbus-Bombardier partnership is all about squeezing Boeing,” Morningstar analyst Chris Higgins said. Boeing and Airbus both lack competitive planes in the lower end of the narrow-body market, and the CSeries provides Airbus with a line that competes directly with Boeing’s 737 MAX 7, Higgins added. The CSeries jetliners have not secured a new order in 18 months and face a possible 300 percent duty on U.S. imports, after Boeing accused Canada of unfairly subsidizing the planes. The deal with Airbus means CSeries jets can be built at Airbus’ Alabama assembly plant, potentially circumventing U.S. import duties. “With the aircraft now having a U.S. domestic production line, the issue around the Boeing trade complaint will be moot,” analysts at National Bank of Canada said. Locked in a separate 13-year trade dispute with Airbus, Boeing called the sale a “questionable deal” between two of its subsidized competitors. Other analysts said that by buying a controlling stake of the CSeries jets, Airbus will add the full strength of Europe’s largest aerospace group to the planes, helping with everything from sales and assembly to customer support. “Bombardier should enjoy higher sales and lower costs than it would have captured alone,” Credit Suisse said. The Canadian company, which is in the middle of a five-year turnaround plan after facing a cash crunch in 2015, said the Airbus partnership should more than double the value of the CSeries program. For Airbus, buying the troubled line of jetliners allows the company to improve its operational and supply chain lines, which should in turn help in saving production costs, analysts said. “The larger sales and marketing network at Airbus should also lead to a more robust order backlog,” JP Morgan analyst Seth Seifman said. By 1331 GMT, Airbus shares were up 4 percent at 80.11 euros, one of the biggest rises by a European blue-chip stock. Boeing shares were down 1 percent at $257.11 early morning on the New York Stock Exchange. Bombardier shares were up as much as 26 percent at C$2.81 on the Toronto Stock Exchange.